Inspired by Coachella, this event brings the west coast’s famous celebration of Music, Art and Fashion to East coasters turning College Town in Rochester, NY into boho heaven with bands, boutiques, vendors, performance art, sidewalk chalk contest, and refreshments. On Saturday Sept. 26th from noon-5pm, Rochester A-List, Roc City Creative, and local boutiques, spas, and independent jewelry designers are joining forces to present a truly unique event. Local bands and performers will set the vibe for a fall shopping and entertainment experience. The College Town shopping experience includes pop up boutiques by Ruffles, Paislee, Carrie George, Panache, breathe, the Fashion Taxi by E & K, and Peppermint along with wares from local designers and artisans including: Jewelry By Artwark, Premier Designs, Lucends, Fahsye, Carrie George, Machinator Chaos, Monat, Gods n Gladiators Jamberry, Benrus, and more (check back for updates). Stage side pampering will include chair massage, colored hair chalk, henna tattoos, and a full service braid bar, a popular hair trend that has been sweeping across the country’s best salons from LA to NYC. 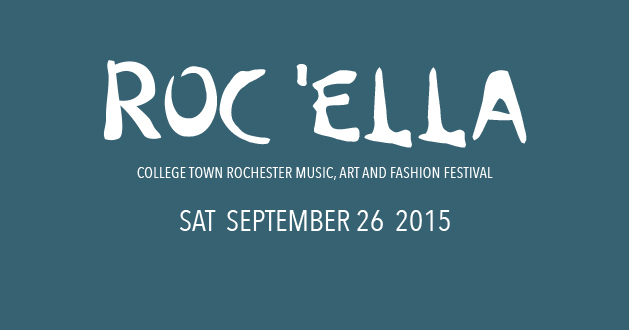 Bands include Amanda Lee Peers from the Voice, Rochester’s own Elephino, and Buffalo’s Lazlo Hollyfield. Other event highlights will include: Photo Booth, the Brainery, High Falls Distillery, a beer and wine garden, lawn games, and more. This event is complimentary. See who is going on facebook.